Survey finds a significant percentage don't know what their retirement income sources will be. If you’re going to spend decades out of the workforce, do you know how you’ll support yourself during that time? A 65-year-old man today can expect to live, on average, until 84, and a woman can expect to live until nearly 87, according to the Social Security Administration. But by the time you reach retirement age, life expectancies could be even higher, which means your retirement could be longer, too. 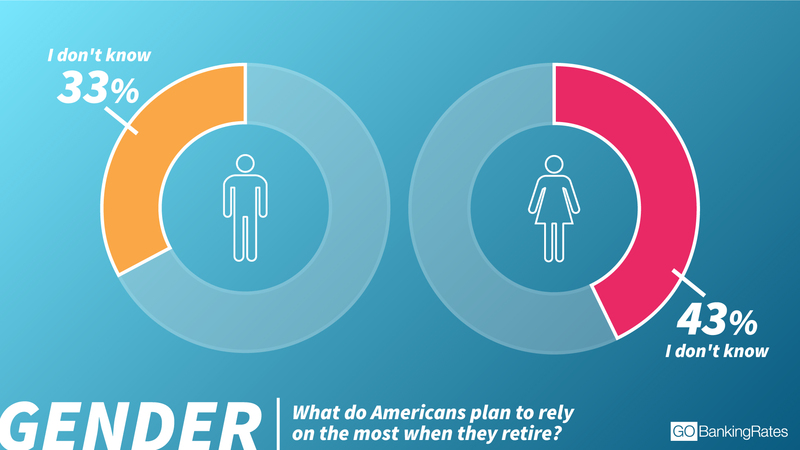 The survey results show how unprepared many Americans are for retirement. A significant percentage simply don’t know what their retirement income sources will be. There are also surprising reasons people aren’t saving. 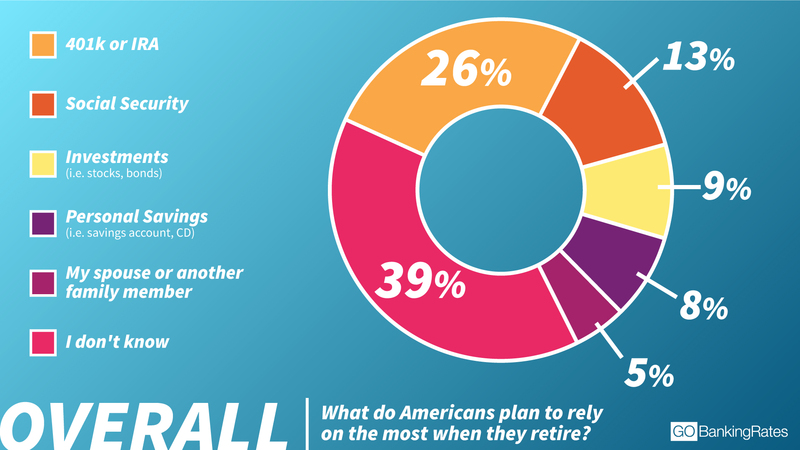 When it comes to retirement planning, the survey found that many Americans don’t seem to have a plan. 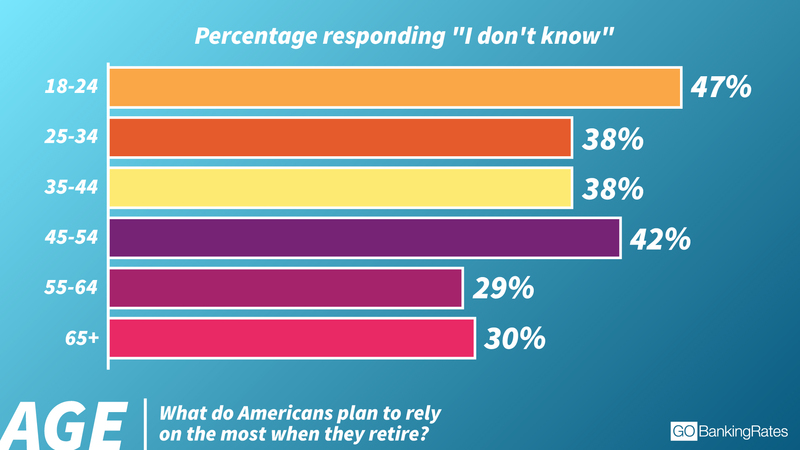 “I don’t know” was the most popular response of those asked what they plan to rely on most when they retire, with 39 percent choosing this answer. The high percentage of people who don’t know how they’ll support themselves in retirement isn’t surprising, considering that GOBankingRates’ 2017 Retirement Savings survey found that 34 percent of Americans don’t have any retirement savings and another 21 percent have less than $10,000. Instead, many people put more time and money into planning purchases that deliver short-term rewards — buying bigger TVs, bigger homes and nicer cars. “We’re spending our retirement now,” said Brian White, founder of Century Financial in Memphis, Tenn. That’s why such a large percentage of people don’t know what income source they’ll rely on when they’re no longer working. They’re just not thinking ahead, he said. Adults ages 18 to 24 were most likely to respond that they don’t know what they planned to rely on in retirement, with 47 percent choosing this answer. It’s not surprising, considering that retirement is decades away for them. 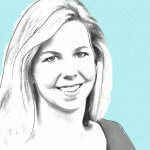 “Those folks are just thinking about how to find their next job or pay down debt,” Avent said. What is surprising, he said, is the large percentage of older adults who are closer to retirement age who don’t know what their primary source of income will be in retirement. After young millennials, Gen Xers ages 45 to 54 were the most likely to say “I don’t know” about what they’ll rely on in retirement, with 42 percent choosing this answer. And about one in three adults ages 55 to 64 answered, “I don’t know.” Even 30 percent of adults 65 and older said they don’t know what they’ll rely on in retirement. The sooner you start to plan and save for retirement, the easier it will be to grow your savings thanks to the power of compound interest. Even small amounts can grow to large sums over time when the interest on your account balance compounds. If you wait until your 40s or 50s to start saving, your money will have less time to grow. You might be hoping that you can catch up as your retirement age approaches, but something such as a job loss could throw off your plan, said Elliot Omanson, senior advisor and president at Sage Financial in Shawnee, Kan. “Don’t build a plan based around the hope strategy,” he said. Instead, you should make saving for retirement your No. 1 priority. The survey also found that 43 percent of women don’t know what their main retirement income source will be, compared to 33 percent of men. These findings don’t necessarily suggest women aren’t doing as good of a job planning for retirement as men. Other GOBankingRates surveys have found that an almost equal percentage of women and men have retirement savings and that women are less likely than men to say saving for retirement isn’t a priority. The reason women might be more likely to respond that they don’t know what they’ll rely on in retirement could be a confidence issue. Omanson said that a significant percentage of his clients are single women. Early on, he identified a characteristic they had in common: They all had a man in their lives (often a brother) who was their go-to person for financial information. “There’s a cultural tendency to defer a lot of financial decisions to a man,” Omanson said. However, he said women need to trust themselves more to make the right decisions and take control of their finances. “There comes a point where you have to take more responsibility,” he said. Avent said he’s actually seen more women taking responsibility for family finances over his 18 years as a financial planner. He said he’s more optimistic now than he was nearly 20 years ago about women knowing where they stand when it comes to retirement. The survey found that Americans are more likely to be counting on a 401k or IRA for retirement income, rather than Social Security. After “I don’t know,” the second-most-popular response to what people plan to rely on in retirement was “401k or IRA” — with 26 percent of respondents choosing this answer. Social Security came in a distant third, with just 13 percent of respondents saying they will rely on it in retirement. Younger adults were even less likely to answer that they expect to rely on Social Security. 9 percent of adults 25 to 34 years old said they expect to rely on Social Security. 10 percent of adults 35 to 44 years old said they expect to rely on this government benefit. “People don’t trust it to be there,” Omanson said. That’s because the Social Security trust funds that pay retirement benefits could be depleted by 2035 if changes aren’t made to the program before then. However, Omanson doesn’t expect this popular benefit to disappear completely. “Social Security has been on the brink of running out of money multiple times,” he said. “Changes are always made to save it.” And it will continue to be a source of guaranteed income for people in retirement. However, younger adults shouldn’t count on it to be a primary source of income in retirement because benefits could be reduced, or the benefit age might be pushed back, Avent said. You should count on your 401k to be your primary source of retirement income, instead. “That’s got to be the first place,” he said. Your income in retirement should come from several sources, Avent said. Ideally, you should spread your retirement savings over accounts that receive different tax treatment. The smaller the tax bite on your retirement income, the more of your money you’ll get to keep to cover expenses. You’ll get a tax benefit now if you contribute to a 401k or other workplace retirement plan because contributions come out of your paycheck before taxes and reduce your taxable income. However, withdrawals from a 401k in retirement are taxed at your regular income tax rate. There are lots of strategies to follow to maximize your 401k. Saving in a Roth IRA creates a source of tax-free income in retirement. You also can get tax-free income if you contribute to a health savings account while working (if you have a high-deductible health plan), then use the money in retirement on healthcare expenses, Avent said. You also could benefit by investing in stocks, bonds or mutual funds in an investment account. When you sell those investments, they’ll be taxed at the capital gains rate, which is lower than income tax rates. The rate is 0 percent, 15 percent or 20 percent, depending on your income level. You can also add Social Security, any pension income or money in a savings account to the mix. And you might consider an annuity, which can provide a guaranteed stream of income in retirement, White said. To figure out how much you need to save for retirement in these accounts, an online retirement income calculator can help give you a ballpark idea. Investment firms like Fidelity and Vanguard have free calculators. To get help creating a plan, consider hiring a licensed financial advisor, White said. “Too often, [people] depend on a relative, an associate or somebody from the third barstool left [for great investment ideas],” he said. You can find a planner through the Financial Planning Association or the National Association of Personal Financial Advisors. If you can’t afford a planner, take advantage of any financial planning benefits your employer might offer through your workplace retirement plan or a low-cost robo-advisor such as Betterment or Personal Capital. Methodology: The GOBankingRates’ survey posed the question, “Which of the following do you plan to rely on the most when you retire?” Respondents could select one of the following answer options: 1) 401k or IRA; 2) Social Security; 3) Investments (i.e. stocks, bonds); 4) Personal savings (i.e. savings account, CD; 5) My spouse or other family member; or 6) I don’t know. Responses of 1,003 people were collected through a Google Consumer Survey conducted June 14-17, 2017, and responses are representative of the U.S. online population. The margin of error is 4.5 percent. Using your Social Security check wisely can improve your retirement. Keep your nest egg safe by slashing these unnecessary expenses.